WENATCHEE — RunWenatchee announced today that its annual North Cascades Bank River Run on the Fourth 5K and 10K is still on for this Saturday morning, July 4, with a portion of the proceeds benefiting the Sleepy Hollow Fire victims. RunWenatchee will continue to monitor fire behavior and air quality as the week progresses and, if needed, adjust its race plans accordingly. “Our hearts are firmly with those who lost homes or have endured hardship during these trying times,” said Steve Maher of RunWenatchee. “We also think it’s important to exhibit ‘the Wenatchee spirit’ and to offer an outlet for folks who want to return to some normalcy. “We were watching closely what the Wenatchee Independence Day Celebration Committee was going to do. Once we were told the Fourth of July celebration is still on for Saturday, we decided to follow suit,” Maher said. In a bid to help those in need, the Sleepy Hollow Fire victims will be added to the list of local beneficiaries of the North Cascades Bank River Run 5K & 10K. The Community Foundation of North Central Washington has opened a fund for donations called the “Sleepy Hollow Heights Fire Support.” This fund will help support the families who have lost their homes and the firefighters, as well as any animals impacted by the blaze. The fund will be used for food and other items. People also can donate directly by going to http://www.cfncw.org/. Online registration for River Run closes at noon Thursday at https://riverrun2.eventbrite.com. Entry fees are discounted for current and retired military members, firefighters, police officers and emergency dispatchers — in what RunWenatchee is calling its “Heroes Division.” Registration also is available at packet pickup from 4 to 7 p.m. Friday at Pybus Public Market and from 6:30 to 7:30 a.m. Saturday at Pybus. The race begins at 8 a.m. Saturday at Pybus. 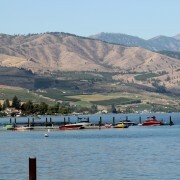 RunWenatchee is incredibly saddened by the destruction the Sleepy Hollow Fire caused Sunday evening. Our hearts are firmly with those who lost homes or have endured hardship during these trying times. We applaud the work of the firefighters and law officers entrusted with keeping our community safe. We will not have a track workout this Tuesday, June 30, but we will hold our weekly club run on Thursday night and our North Cascades Bank River Run on the Fourth 5K & 10K this Saturday morning. We will continue to monitor fire behavior and air quality as this week progresses and, if needed, adjust our plans accordingly. This Thursday’s club run/walk will occur during its normal hours — 4:30 to 6:30 p.m. — but given the heat forecast for that day RunWenatchee will credit participants for the week if they run or walk earlier in the day at cooler times. However, they still need to check in with us from 4:30 to 6:30 p.m. to record their run or walk. For those who want to participate during our normal hours, we recommend they do no more than 30 minutes of running/walking, bring a hydration bottle and make sure they stop at the various bathrooms along the loop trail for water and seek shade to cool off. In a bid to help those in need after the Sleepy Hollow Fire, the fire victims will be added to our list of local beneficiaries of Saturday’s River Run 5K & 10K. The Community Foundation of North Central Washington has opened a fund for donations called the “Sleepy Hollow Heights Fire Support.” This fund will help support the families who have lost their homes and the firefighters, as well as any animals impacted by the blaze. The fund will be used for food and other items. People also can donate directly by going to http://www.cfncw.org/. 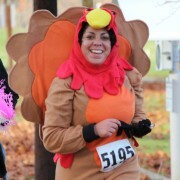 Online registration for River Run closes at noon Thursday at https://riverrun2.eventbrite.com. Entry fees are discounted for current and retired military members, firefighters, police officers and emergency dispatchers — in what we are calling our Heroes Division. Registration also is available at packet pickup from 4 to 7 p.m. Friday at Pybus Public Market and from 6:30 to 7:30 a.m. Saturday at Pybus. The race begins at 8 a.m. Saturday at Pybus. Please check our Facebook page for more updates this week.